Although there is no conclusive evidence that recently reported cases of acute flaccid myelitis (AFM) is caused by a virus, officials at the CDC suggest that a virus is to blame. This viral association appears to be based on the observation that during the four weeks preceding the onset of limb weakness, signs and symptoms consistent with a viral illness were reported for 99 percent of the confirmed AFM patients. Officials seem to be assuming that only a viral infection can cause these types of symptoms, although adverse effects from medications, environmental toxins and vaccines can also cause these symptoms. However, Nancy Messonnier, MD, director of the CDC’s National Center for Immunization and Respiratory Diseases recently said that AFM “seems to be more of an autoimmune syndrome, as opposed to a direct result of a virus.” If AFM is indeed a type of autoimmune disorder, then what is causing the development of weakness and loss of muscle tone and reflexes in the arms or legs, facial droop or weakness, difficulty moving the eyes, drooping eyelids, difficulty swallowing and slurred speech in previously healthy children? 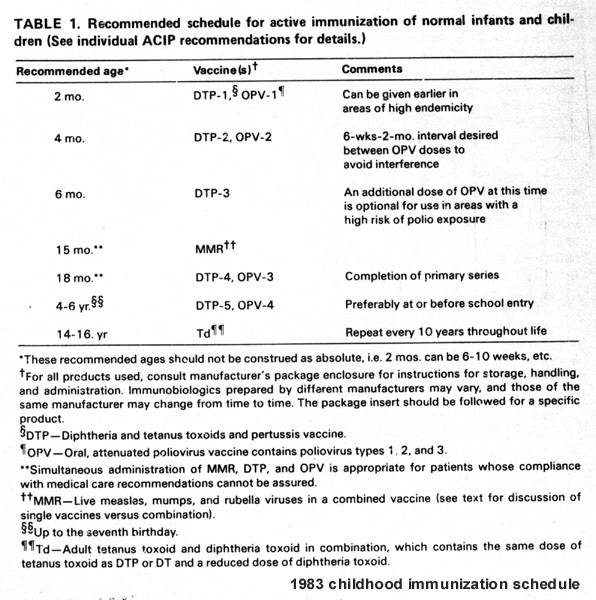 Vaccines can trigger Guillain-Barre? Yes. Guillain-Barre has been reported following the inactivated flu, MMR II (mumps, measles, rubella), hepatitis B, meningococcal polysaccharide, tetanus and polio vaccines. Based on Messonnier’s view that AFM might be an autoimmune disorder similar to Guillain-Barré Syndrome, and based on the fact that Guillain-Barré Syndrome can reportedly be triggered by a number of vaccines, it would be reasonable to at least consider the possibility of an association between AFM and vaccination. CDC officials have not released information about how many of the AFM cases were recently vaccinated or if there have been any cases of AFM diagnosed in children who are completely unvaccinated or who have received only a few vaccinations. Officially, AFM is still a “mystery illness,” so it makes no sense to close any door to inquiries that could yield important clues about why healthy children are suddenly being paralyzed without warning. Read the full article AFM Compared to Guillain-Barre Syndrome in NVIC’s online newspaper The Vaccine Reaction. Read more about AFM in Acute Flaccid Myelitis and Routine Childhood Vaccinations: This is Nothing New, and autoimmunity in Why are Americans So Sick? Learn more about vaccine side effects in Vaccine’s “Side Effects” are Real and Plenty. TheVaccineReaction.org or be able to connect with us on social media platforms to have an open conversation about it. With the cancellation of net neutrality in the U.S. in 2017,2 3 the two decade forging of public-private business partnerships between governments and politically powerful corporations and institutions has cleared the way for factual information about health to be censored as “fake news” and quietly removed from the Internet if it does not conform with public health policy and government recommendations for use of pharmaceutical and food products.